Photo-identification is a non-invasive technique used by scientists around the world to study dolphins populations around the world. 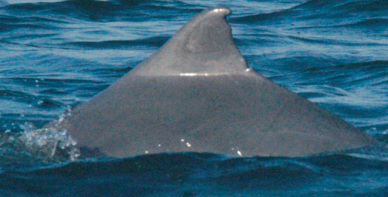 The theory at the basis of photo-identification is that the majority of the dolphins within a population can be unequivocally distinguished thanks to unique nicks and marks on the dorsal fins. The term “capture” is used to identify the first time that a good quality photograph of the dorsal fin of a specific individual was taken and added to the photo-identification catalogue. The following encounters with the same individual are called “recapture”. “history file” of a specific individual or a population. This file represents the basic data needed to investigate distribution, social structure, abundance, population trend and to identify key habitats of dolphins in the region.